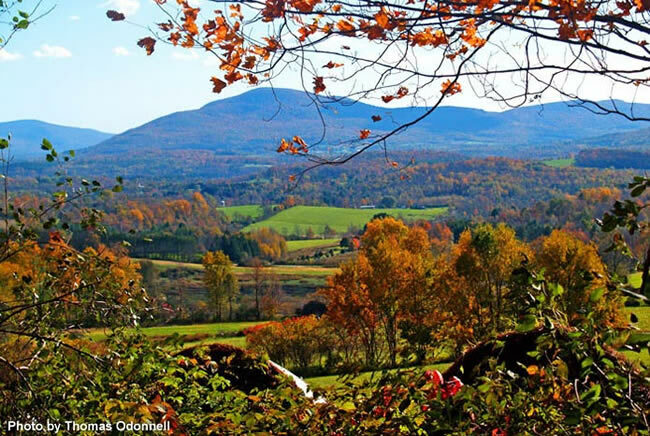 concerts, mountain scenery, brilliant fall months, your life’s priorities will naturally right themselves in the beautiful backcountry of Vermont. ..................... Contact your local Tour Operator, AAA, or Bus Company for pre-formed retail tours you can join. American Story” and the story of the Lincoln family’s love affair with Vermont. ﻿* Bennington Stoneware Potters and Factory Tour. Founded 1948. * Vermont Confectionary. Candy and ice cream coupon included. * Hildene, the Lincoln Family Home, Manchester. 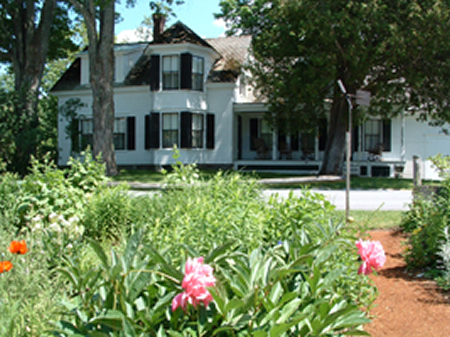 An historic home, gardens, trails, woods and farm set on 412 preserved acres of quintessential Vermont landscape. * 1,000-pipe Aeolian Organ demonstration. * New Rowland Agricultural Center at Hildene Farm. * New Nubian Goats for viewing of cheesemaking from milking to processing pasteurization, aging, and finishing. eating, eating, eating! Five days/four nites of savory fun. * Coffee & Vermont Cider Donuts. The best you will ever have! * Lunch at the Fort. * Fort Ticonderoga. Tour of this historic sight, large gift shop of historic books and items. * Lighthouse and ruins of a Fort. * Unusual Farm. Most documented site in America on the Underground Railroad. * Ham & Cheese Appetizers at Factory Store. Recently featured on The Food Channel and countless publications across the country. Dinner on Lake Champlain at historic shoreline resort. * Chocolate Factory, tour and taste. * Dinner Cruise on Lake Champlain. * Apple Cider Mill. The best you will ever taste! * Lunch Buffet and Compound Tour at Trapp Family Lodge. NEW Offering. * Dessert at Ben & Jerry's Ice Cream Factory. Tour and tasting. * Coffee Roasters Visitor Center and Café. * Dinner at new Restaurant. * UVM Morgan Horse Farm. 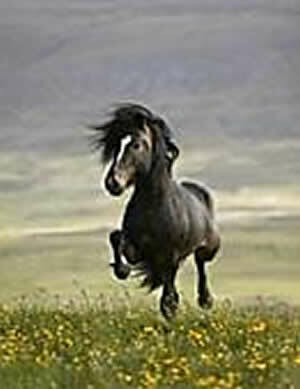 Said to be America’s first breed of horse. * Lunch at famous historic inn. * Maple Syrup Center, tour and tasting. * Best apple pie ever! * Dinner at famous historic inn. * Hildene. 1905 home of only child of President Lincoln to survive to adulthood - Robert Todd Lincoln. * Dinner at 5-STAR 1769 Hotel Resort, one of most famous and elegant hotels in the country. * Bennington Museum. Step into Vermont’s historic story. governors and a very famous poet. * Ice Cream and Candy Factory. National Geographic. Beautiful stream cuts through town with covered bridges, giving it the feel of yesteryear. Woodstock Inn in Woodstock, VT, near Queechee Gorge. * Best Apple Pie. Home-made and delicious. food, and atmosphere. One of a kind. * Shopping Complex. Stores and overlook of Queechee Gorge. * Lunch. Overlooking Ottauquechee River, unique setting on top of gorge. glass blowers, watch potters at work, shop in retail store. At 2:47 am, Aug. 3, 1923, in this very house, Calvin Coolidge became 30th president of the United States. cheese in original 1890 recipe), 1924 Summer White House Office. * Coolidge Burial Ground. 7 generations. * Lunch. Historic Wilder House Rest. on grounds. * Village. Full of antique and country stores. Whole lobster, prime rib, chowder, steamers, entertainment. Yum, yum. * Lobstah on Lake Champlain. 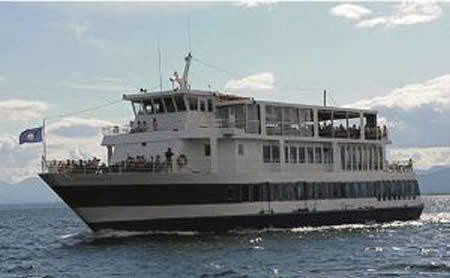 Cruise upper Lake Champlain at sunset and enjoy fabulous meal. * ECHO and Aquarium. Unusual museum of aquatic life on and under Lake Champlain water. * Shopping. Downtown marketplace, no cars, brick sidewalks, cafe’s, stores, mall. Stocked to the rafters with huge assortment of practical and hard-to-find merchandise you can't find anywhere else. Step back in time and shop for things of yesteryear. * Vermont Country Brunch. N.E. 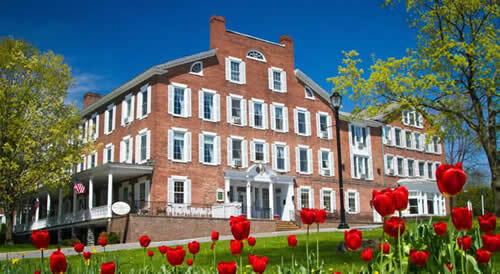 Culinary Institute-trained chefs, voted one of most romantic inns in country. on its northern shore for more exquisite scenery and quaint villages. 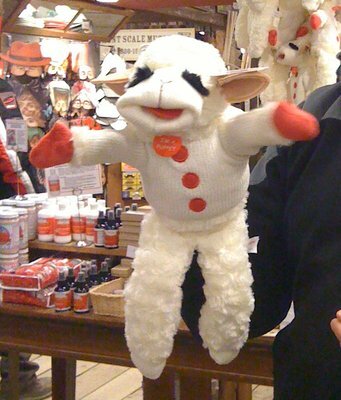 Vermont Teddy Bear Factory - there's only one! * Luncheon Cruise. Lake Champlain with narration of American Revolution in area. * Ethan Allen Homestead. Up-front and personal look at this American Hero. in the hospital. 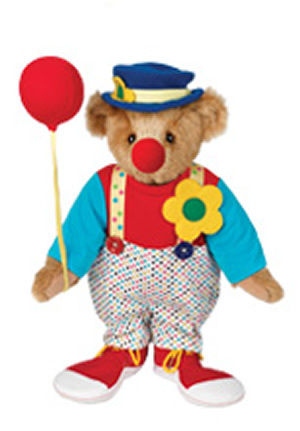 Even make your own, bear that is, not boo-boo!. * Shelburne Museum. Museum of art and Americana located with over 150,000 works exhibited in 39 exhibition buildings. Another quaint yesteryear village in the middle of the state. The Morgan - America's first breed of horse 1789. * Middlebury Inn Lunch. Historic and charming site. Step back into yesteryear. * Morgan Horse Farm. First American horse, the Morgan is an exceptionally beautiful breed. Farm tour includes dressage, showers, barns, and a smiling horse! * Middlebury College Art Center. Small college but impressive collection. * High Tea. Bob Newhart’s prototype B&B for TV show. of the movie. This is not to be missed when visiting Vermont. 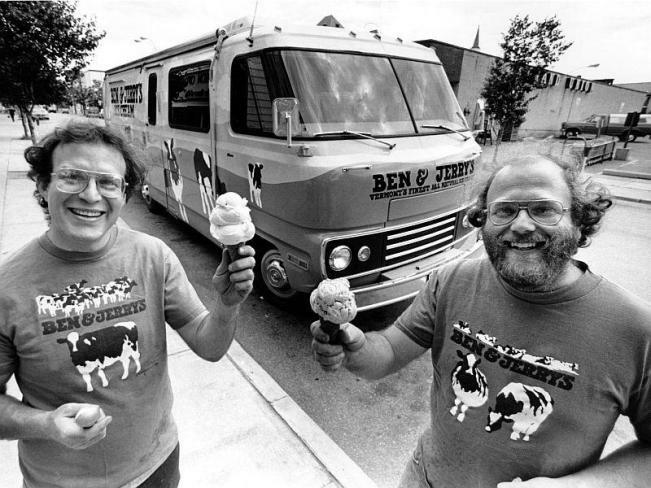 Here they are - Ben on the left, Jerry on the right - the founders of Ben & Jerry's world-famous ice cream. * Lunch at Trapp Family Lodge. Grand buffet. of your choice, see the ice cream burial ground, and more fun. into the beginnings of our country. * Lunch at an historic inn. the local notary public, following the untimely death of President Warren Harding. * Lunch at Woodstock Inn. Go back to a simpler yet elegant time. * Dinner in the old Marble Works. cavalry horses during the American Civil War. history, and processing, and tasting too. * Lunch at Waybury Inn, well known as the home of the Bob Newhart show. Whether you are a city person or a country person, but we can be thankful for the farms of the world because their efforts keep our households going and our stomachs yearning for the good food they . provide. Here is a backdoor look at how some of it is done. Truly fascinating. * Dairy Farm. Unique 450-herd dairy farm tour. One of only 5 locally-owned "producer-handler" cow dairies - ............. farms that make, process, bottle, and distribute their own milk, with 36 employees. Makes best chocolate milk............ in Vermont!............................................................................................................................................................. * Horse Farm. One of the earliest horse breeds developed in the US, named after first owner. Morgans served.......... many roles in 19th-century American history, being used as coach horses, harness racing, riding animals, and......... cavalry horses during the American Civil War. ........................................................................................................... * Maple Museum & Gift Store. See how it is all done, so interesting, large maple store to taste and bring home ....... your favorite. .......................................................................................................................................................... * Farm to Market. Beef is grown on a strictly vegetarian diet without antibiotics, grass-fed and finished with a .........minimal amount of cracker corn to give the beef a light marbling that contributes to its juiciness. Tour the farm ....... ... and enjoy a great farm-to-market meal. .................................................................................................................... * Creamery. Milk is transformed from local farms into the "best cheddar in the world", awarded at the 22nd ........... Biennial World Championship Contest. Sampling galore. ........................................................................................... * Health Farm. Tour farm including herd health clinic, pregnancy checks, and dehorning of heifer calves. 112............... cows enjoy waterbed mattresses, eat off a tiled feed alley, and relax in larger stalls for laying down, plus four-........ season ventilation balloon curtain barns, a nursery, forage food tested weekly, farm produces 10,000 lbs of food ........ daily. .....................................................................................................................................................................* Dairy Farm of 2008. Tour to see 900 lactating Holsteins and 150 dry cows, 24,000,000 lbs of milk annually,......... 1500 acres of cropping, 18-full-time employees. 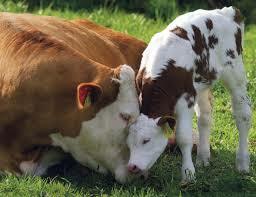 Anaerobic digestion is used for unprocessed cow manure as ....... renewable resource. During past year, they produced 2,000,000 kwh of electricity to.the grid, enough to power ........... 400 average sized homes. ..................................................................................................................... ........... .... * Ben & Jerry's Ice Cream Factory Tour Ice Cream Shop. Take the 30-minute guided factory tour and learn .......... how ice cream is made from all those wonderful Vermont donor cows. Enjoy your favorite flavor - deliciousness ......... into every scoop. Even pay respects to those who didn't make it in the Ice Cream Cemetery. ........................................* Cider Mill. Legendary Cider Donuts - called one of the country's four best donuts - every day, fresh all day long...... Catch the pressing men in action and watch cider being made the real, old-time way, with a traditional rack and ....... cloth press built in 1920's. From the sample tank, sample cold fresh-pressed cider, the best ever! 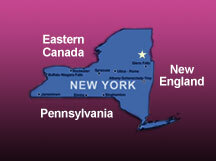 Huge.shop is ..... stuffed with fine Vermont specialty foods and products. A true Vermont experience. .................................................... * Shelburne Farms. 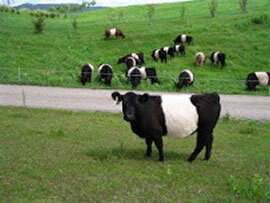 A working farm and dairy, including purebred Brown Swiss cows, organic fruits and markett........ garden and woodlands, with the theme of sustainable food system and farming practics, pasture-raised lamb, beef ..... and veal, and whey-fed pork, and maple syrup, and make their own Farmstead Cheddar Cheese. 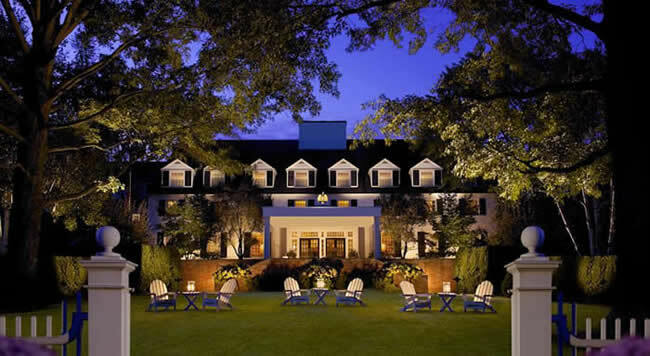 Beautiful grounds .... and enjoy meal at their grand restaurant.